Printing your logo on this giveaway is fast and easy – 24HR! 11 color(s) to choose from! 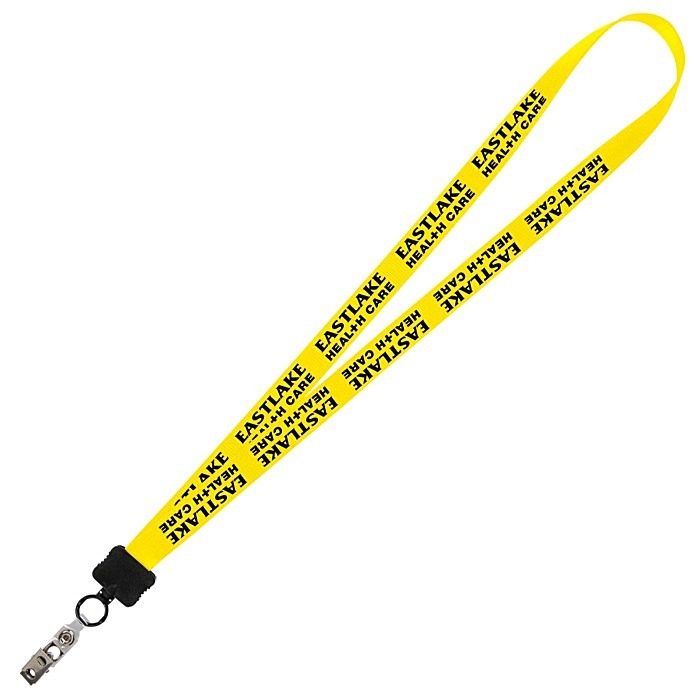 Your imprinted company name repeats all along the entire 32" length of this lanyard! Silky smooth nylon lays flat against your clothing without added bulk or weight. And with its broad 3/4" width, the badge holder provides a larger imprint area for your logo. 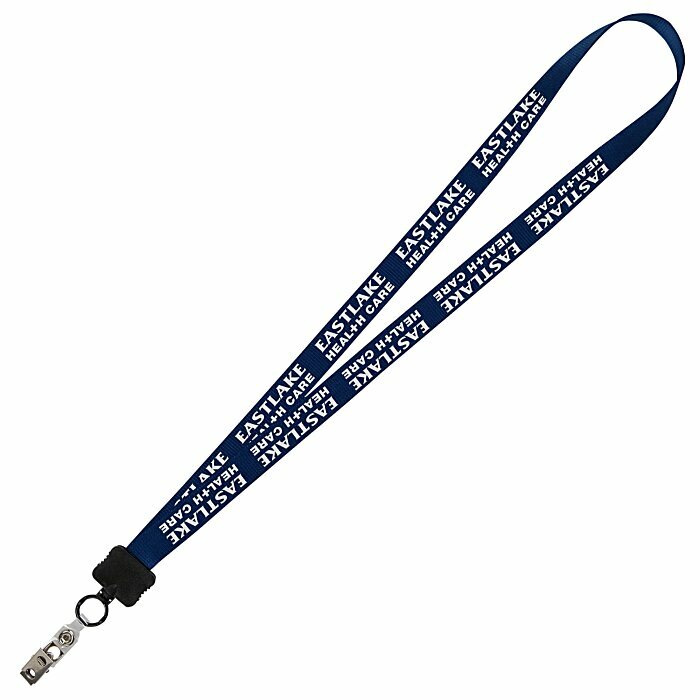 With its snap-on metal bulldog clip, this custom lanyard is ideal for holding your ID badge, access pass, visitor tag or keys. 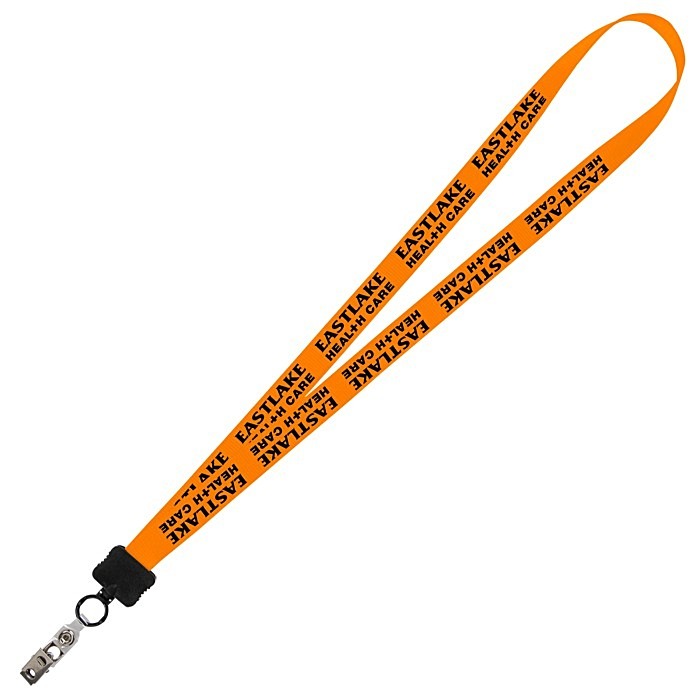 Breakaway/convenience release on the lanyard is also available for an additional charge. Size: 32” L x 3/4” W.
Your price includes a one-color imprint on the front of each strap.